So you got the new house with this beautiful backyard or large deck. But it all looks pretty bleak without furniture. You want something fast, because all your friends are coming over for the house warming and they certainly will want to sit down, at least after they tasted your latest martini creation, right? Problem is, there’s so much choice that it’s hard to know where to begin. And your headache is getting a bit more thinking about all the factors impacting a comfortable as well as attractive outdoor space wherein you can relax and entertain family and friends. If you are buying patio furniture for the first time and have no clue as to what to look for in outdoor furniture, the following guidelines will help you shop for the best patio furniture. First, it is essential to take the weather conditions into consideration while looking for patio furniture. For example, dry and hot weather conditions can make some wooden products crack. Similarly, traditional wicker furniture fails to withstand moisture and has to be constantly maintained. All-weather wicker will be a better choice and aluminum for instance does not rust. If you are looking for something that doesn’t need much maintenance those two materials are a good choice. Wrought iron furniture can last for a long time withstanding heat, moisture and dry climates, but it stands the risk of getting rusty. Also, you should take into consideration the space needed for outdoor furniture. For example, if you have a small outdoor area, you may opt for a bar table set or bistro set rather than having a huge dining set or sectional sofa. Best is to measure the area that you have available before you head out shopping. The size of outdoor spaces tends to be much harder to guess than indoor rooms. Depending on space available and functionality required, choose your most important piece of outdoor furniture. For example, if you will be mainly dining outside, choose the dining set first, or choose a bar set, that can be used for drinks and dining. If you have enough space, you may want to add chaises, recliners, hammocks or day beds for relaxing outdoors. For a wonderful outdoor experience, pair everything with matching accessories such as pillows, umbrellas, fire pits, planters etc. 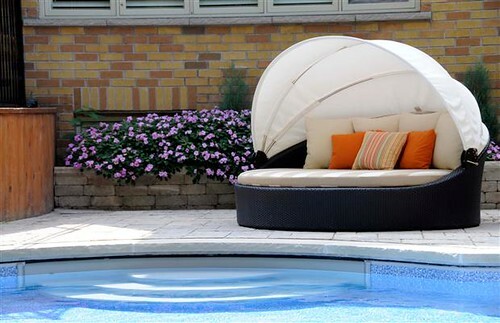 Following these easy guidelines will prevent you from just buying patio furniture blindly without knowing what patio furniture is best for outdoors. There are a couple of very prominent and reputable vendors in Canada. 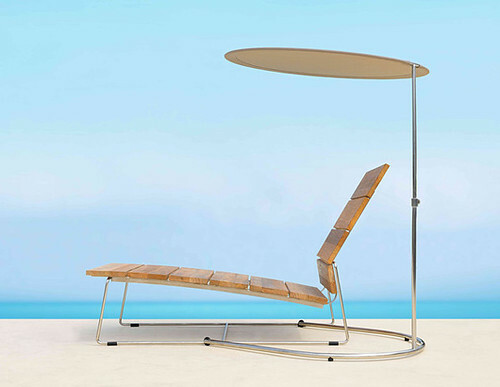 Dedon, Jardin Le Ville, Hauser, Andrew Richard Design are some of the brand names for outdoor furniture. Shopping with these brands is a save bet. The only pitfall is that they tend to be pricey and hence, not affordable for all of us. Beliani has been providing its customers with durable patio furniture of great quality at unbeatable prices. They carry a variety of modern design furniture including, outdoor dining sets, sectional sofa sets, loungers and more.